Hair extensions act as a makeover for individuals. Hair extensions are found in different variety and quality. Hair extension is usually long-lasting hence; it is suggested to make a wise decision while choosing your extensions. Tape-in hair extension is one of the widely used hair extension. Tape-in hair extensions are actually 1-1-5 inch panels of hair which are incorporated in our hair to add length and volume in our natural hair. They are named as tape-in extensions because they are taped in our natural hair. Tape-in hair extensions are very effective and many hair stylists and in fact, individuals prefer to use tape-in hair extensions over any other type of hair extensions. There are many reasons for which women prefer tape-in extensions. These extensions are low in price; they are easily wearable and can be worn for a prolonged period as compared to clip-in hair extensions. In addition, the tape-in hair extension is slipped proof which means you don’t have to worry about your extensions being slipped anywhere creating an awkward situation for yourself. Another reason for choosing tape-in extensions is that they can be installed without going to any salon. They are easily installed within 15 minutes and don’t need much assistance. No matter which hair extension you are using each of them needs proper care and maintenance to produce long-lasting results. There are various methods by which you can take proper care of your hair extensions and one such method is to wash them properly with a mild, gentle, and scented shampoo. Shampoos clean all sort of dirt and filth from our extensions and make them healthier, smooth, and shiny. You can find various shampoos for your tape-in hair extensions but not all them will produce a result you desire for. It is difficult to trust the quality of all the shampoos you viewed either on the internet or in any market store. To avoid this confusion we are providing you top five easy to apply tape-in hair extension shampoos which will give 100% result and retains the natural look, shine, and silkiness of your hair extensions. 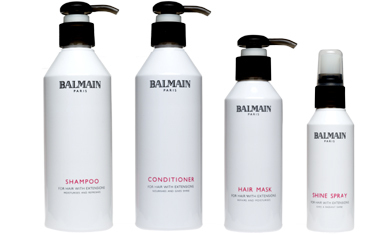 Sulfur-free shampoos are regarded as best for tape-in hair extensions. If you are looking for a shampoo which also provides oil hydration to your natural hair then you should try this shampoo. This shampoo contains Morocco oil which effectively removes tangles from your hair and makes them damage free. For best possible results it is suggested to first wash the extensions properly with warm water and they apply it. 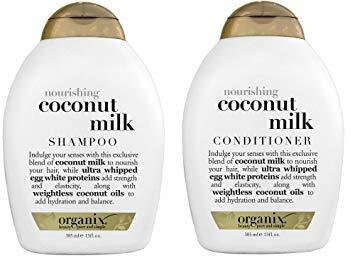 To ensure the natural look of your tape-in hair extension you can also try Organix Coconut Milk Shampoo and Conditioner. This is a two-in-one product which works both as a shampoo and a conditioner. It is enriched with coconut milk which is full of milk proteins and hydrates the extension and also improves their elasticity. This shampoo is regarded as one of the best tape-in hair extension shampoo because of its unique features. It has the capability of a shampoo, conditioner, shine spray, hair mask, and hairbrush. Moreover, it is easy to apply and produces the finest result. Have you ever heard the shampoos boosts the lifespan of hair extension? To your shock, there is a shampoo which is specially designed in a way to ensure the longevity of your hair extensions. 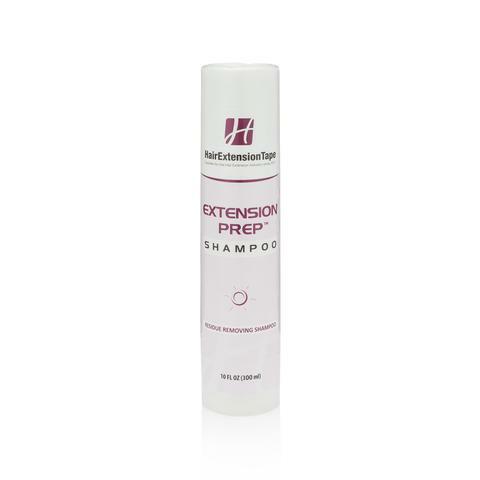 It is thus recommended by many hair stylists to use Hair Extensions Clarifying Prep Shampoo for best possible results. If you are annoyed with the oiliness of your hair extensions and want them to be oil-free then you must try Walker extension shampoo. 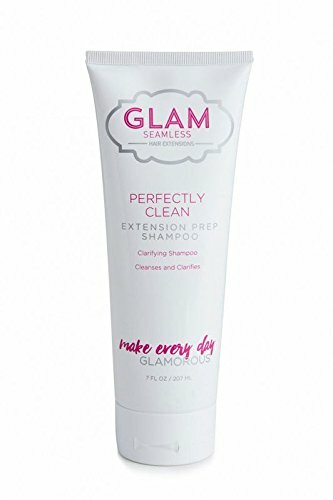 The shampoo is easy to apply and effectively clarify the lace hair and get rid of excess oil from the hair extensions. Hope you now got an idea of which shampoo to use for your tape-in hair extension. Now hurry up! Go and buy any of these tape-in hair extension shampoos and maintain your hair extensions to enjoy a long-lasting look. I don’t know much about hair extensions and I definitely didn’t know they needed specific shampoo to be used.